Southampton host Arsenal in a sole English Premier League fixture taking place on Wednesday night. Who wil lget all three points? 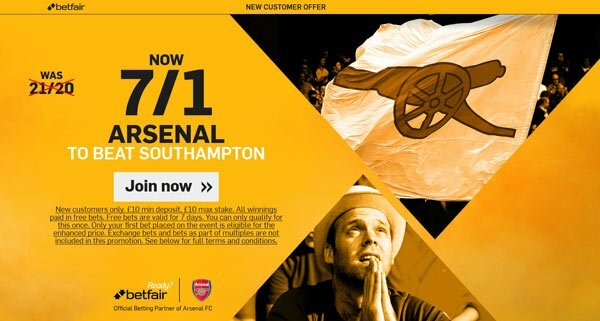 Read here our Southampton v Arsenal betting preview with predictions, betting tips, probable lineups, team news, best odds, bookmakers promotions and no deposit free bets on this clash! Southampton currently sit just inside the top half with four games left to play. 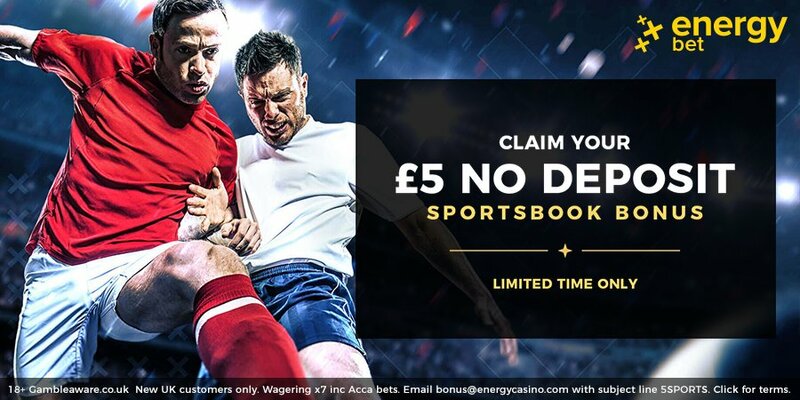 The Saints have failed to win their last four Premier League games and have won just one of their last five at home, scoring just five goals in that run. Only Sunderland and Middlesbrough have scored fewer Premier League home goals this season than Southampton. They have drawn their last two matches, contrastingly at home to Hull and away to Liverpool. Charlie Austin was reportedly close to making a return against Liverpool, so he could be involved for the home side in this one. Alex McCarthy, Virgil van Dijk and Matt Targett are all ruled out. Manager Claude Puel will field a 4-3-3 starting system with Manolo Gabbiadini spearheading the attack, Dusan Tadic and Nathan Redmond on his flanks. In midfield, the likes of James Ward-Prowse, Oriol Romeu and Steven Davis are likely to feature from the off. Arsenal won 2-0 at home to Manchester United last time out to give themselves a glimmer of a chance to finish in the top four. The Gunners remain six points behind fourth-place Manchester City with a game in hand and seven adrift of Liverpool, who sit third with two games spare. The problem for Arsenal is that they have failed to perform on their travels for a while now, losing five of their last six away games , shipping 12 times in that spell. Their only success came in a hard-fought 2-1 win at Middlesbrough. 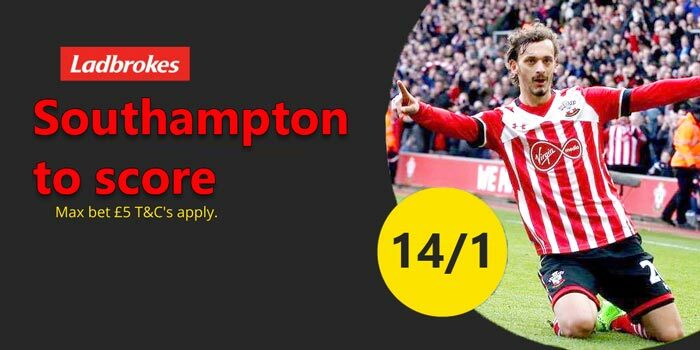 Furthermore, they have not won on any of their last five league visits to Southampton. Granit Xhaka hobbled off after opening the scoring against Man United last time out and is a major doubt for Arsenal. Shkodran Mustafi could come into the side, with Nacho Monreal pushed up to left wing-back. Olivier Giroud is pushing to start and could replace Danny Welbeck upfront. Alexis Sanchez and Mesut Ozil are expected to retain their berth behin the lone striker, with Theo Walcott as main alternative. Jeff Reine-Adelaide and Santi Cazorla are definitely out and Lucas Perez is likely to miss out again. 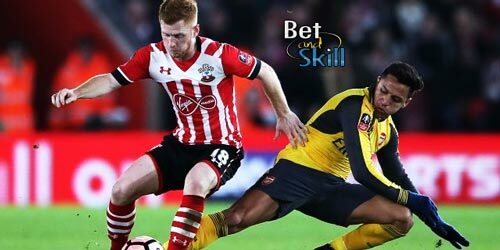 "Southampton v Arsenal predictions, betting tips, lineups and free bets (Premier League - 10.5.2017)"